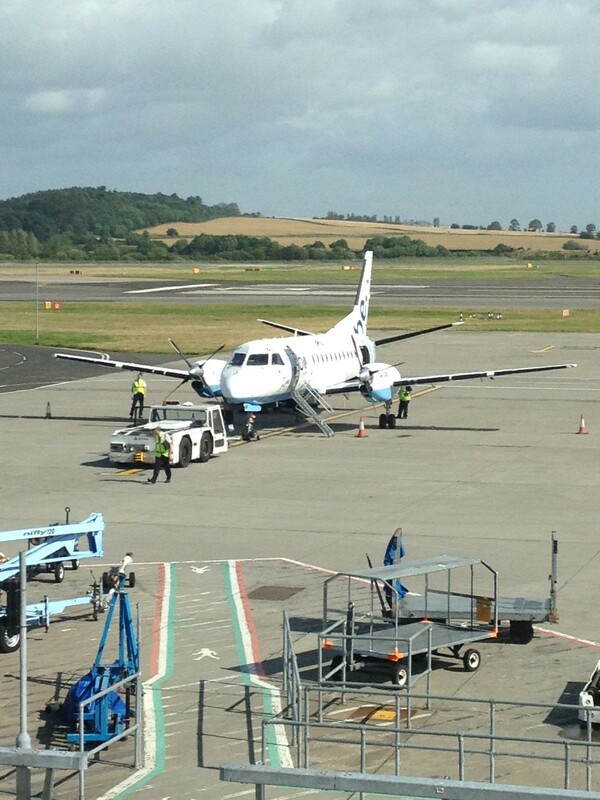 As our Lear Jet starts its slow descent into Wick, the air stewardess starts to pack up the silver service. An incredible 3 course meal settles slowly on my stomach, topped off with the finest Cloudy Bay and I look forward to the relaxing week ahead in the splendour and luxury of the famous Ackergill Tower in Wick. As I turn to the passenger opposite to remark on the glorious sunshine that awaits us, I hear this voice, distant at first, then getting louder and I feel myself being shaken around. I suddenly awake to see Peter and Simon urging me to buckle up as our duo prop SAAB 340 (didn’t they go bust?) is buffeted around the grey blustery skys of Wick. There is no week off. The reality of my holiday lies beneath me as we fly over the A99, the first 120 miles of our journey, tomorrow, on a 926 mile epic to Lands End. After 12 months of thinking, planning and training, reality is now only several thousand feet below us and there is no turning back. A 9 o’clock flight out of Cardiff gets you into Wick for lunch. 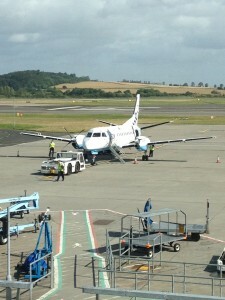 Its an hour to Edinburgh, then a further hour to Wick. Yep, it’s that much further. I’m reminded it will take us 4 days to cycle out of Scotland. A few miles in a taxi and you’re at the best (only) hotel John O’Groats has to offer, the Seaview. And wow, that is some view! Our journey has passed without major incident, well other than Simon wondering if our plane could fly on just one prop and James proving that you can still travel the UK without your passport. Try that if Scotland gains independence! And notwithstanding my dream, we’re here. It’s the end of the UK as we know it, and I’m about to cycle to the other end. Terry, Rose and Jules arrive later with our very smart support van and finally we are reunited with our bikes and rather extensive luggage. Just how long is Simon planning to stay? Simon Lewis, for editorial reasons now renamed Lewis, arrives later tonight, having elected to drive it in a day from Chippenham – that’s a lot of driving! Let’s hope he doesn’t want to take the same approach on the bike tomorrow. We pass the rest of the day as tourists exploring John O’Groats, it doesn’t take long. Peter and James buy postcards and post. Simon takes a photograph of one and emails it. 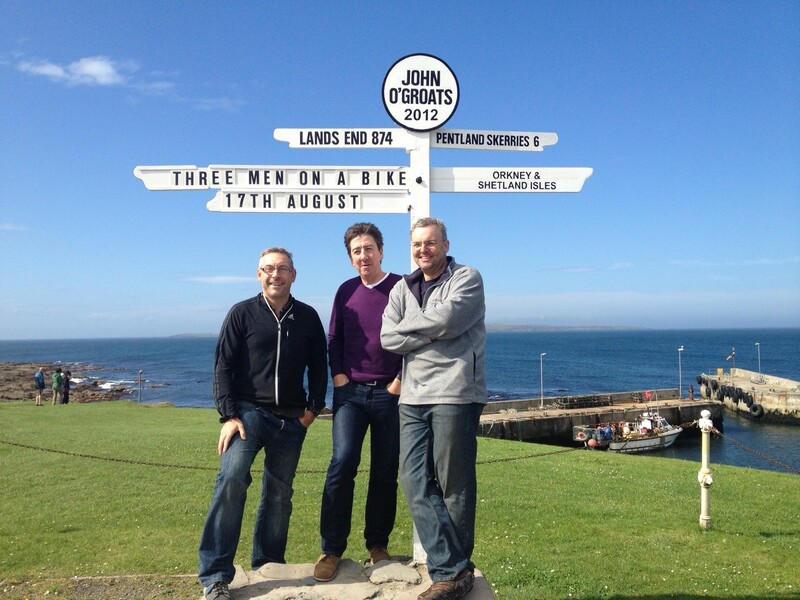 To complete the experience, the three men have their photo taken at the famous John O’Groats signpost. Partially a dry run for tomorrow (it will be very wet) and….. it’s what you do as a tourist up here. All we can do now is wait, anxiously/eagerly (please delete as appropriate) for the start of the real journey tomorrow. The only thing between that and us is Dinner at the Seaview tonight. Tripadvisor doesn’t mention any food poisoning scares…..damn!! Print article This entry was posted by admin on August 16, 2012 at 4:43 pm, and is filed under 2012 ride. Follow any responses to this post through RSS 2.0. You can leave a response or trackback from your own site.